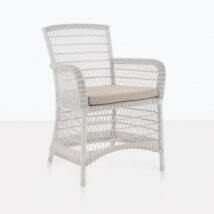 Create a classic outdoor dining experience with the Hampton Wicker Dining Chair with a beautiful chalk weave. 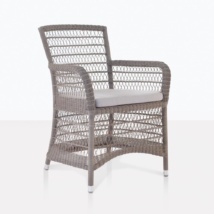 This elegant chair has a powder-coated aluminum frame and is expertly wrapped with outdoor wicker. 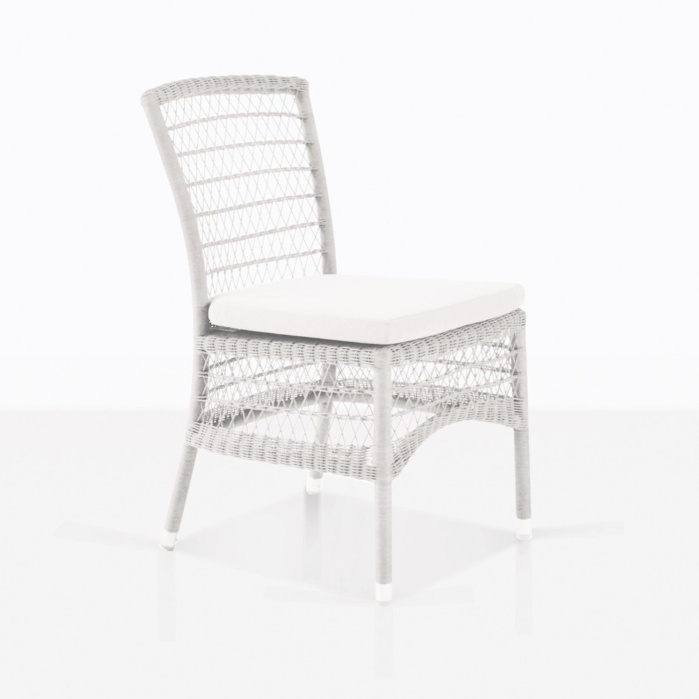 It is topped with a Sunbrella® seat cushion which allows you to be comfortable and enjoy those long evenings around the dining table. The style and materials of the Hampton Side Chair allow it to be easily paired with many different styles of dining tables. 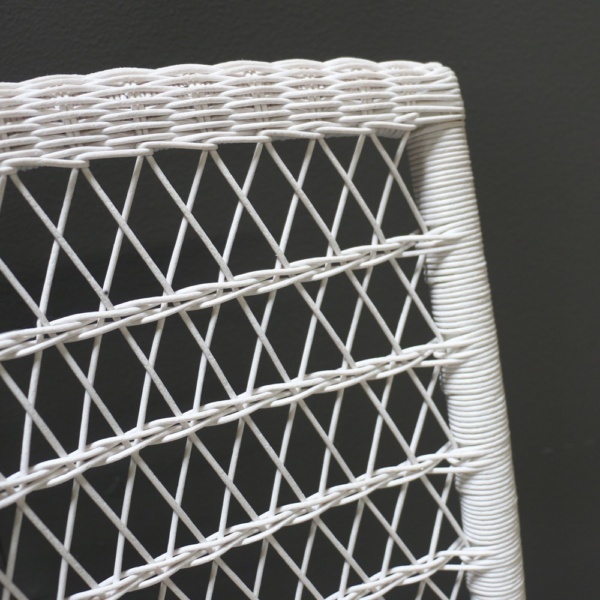 This chair is lightweight, easy to move and strong and durable. The thin footprint doesn't take up too much space, yet the seat is wide enough to be comfortable. 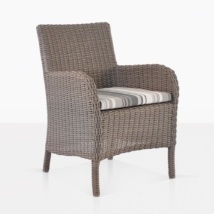 Enjoy outdoor dining with the Hampton Wicker Side Chair. 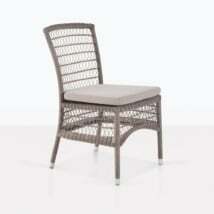 Teak Warehouse offers a large selection of outdoor dining chairs and dining tables. Each piece is sold separately so that you can create the exact dining set that will work for your space. Whether you need to seat 12 or 2 people, we have all the options you need. Call or email us today with any questions you may have. We are open daily to the public.